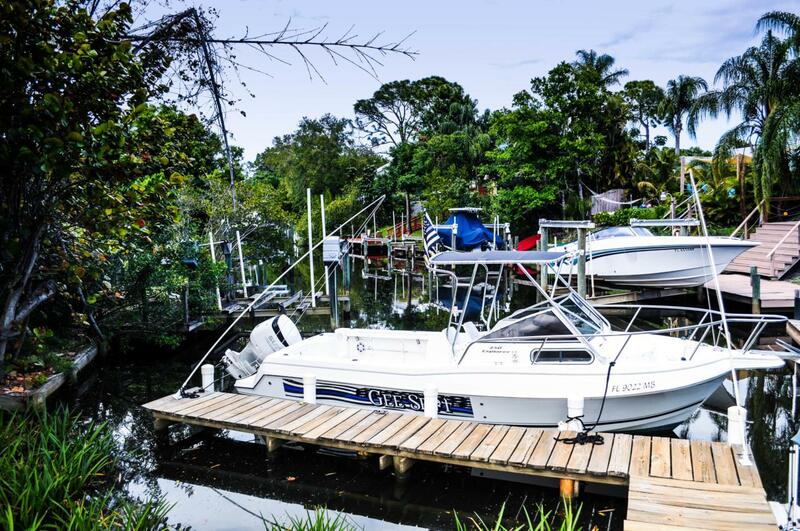 This home is a boaters dream, affordable waterfront property with ocean access. New metal roof, new AC, newer deck and pathway to dock. Plenty of room to entertain inside and out. Private fenced in yard with tall manicured mature hedges. Updated kitchens and baths. Plenty of parking. Newer shed for storage. New zoned sprinkler system. This home has city water, one of the few in the neighborhood that does. Manicured yard on .33 acres. Large master bedroom that has walk in closet. His and hers vanity in master. Large covered patio. Garage has oak cabinets and granite counters and has been used for entertaining, but can be an upscale workshop. Pool table negotiable. This home wont last.